Table top display stand are also easy to assemble and disassemble so it is not time consuming. It wouldn’t take more than a few minutes to have it ready to showcase. Unlike traditional method of displaying, table top display stand features easy to use designs and simple structures that will help you save lots of time and troubles when exhibiting. There is actually no need to use tools when assembling a table top display stand just simply roll the banner starting from the base up to the horizontal structure and supporting it by a vertical pole, you will have your table top banner ready to use in just a few seconds. There is no need to be an expert to set-up your own table top display. Table top display also comes in different sizes depending on your needs and the event or trade show that you are going to take part in. They are customizable and the sizes can be adjusted according to your preference and that is what makes them a perfect solution for your exhibit. If you are looking for ways to attract everyone’s attention, the full colored table top display is the way to go. 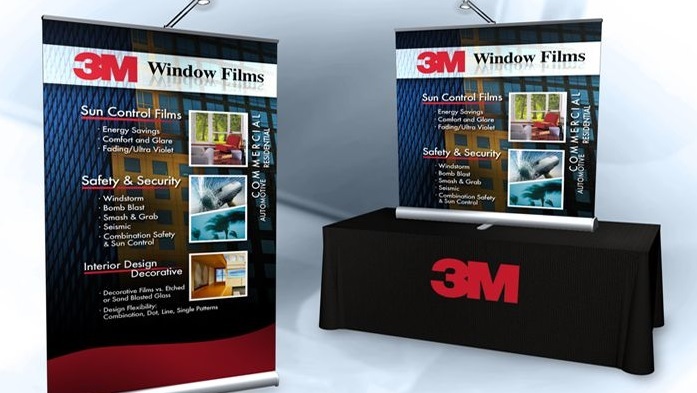 In the same way, table top display stand provides an effortless way to change and display your banners. This gives you the chance to update the information and reuse the same banner over and over everywhere you go. Thanks to the affordability, lightweight structures, variety of sizes, easy-to-use-systems of the table top display. They can be used in almost any place, situation and events like trade shows, college fairs, restaurants and many more. At Bannerstandca.com, we offer you affordable, easy-to-use and lightweight table top display and table top display stand with a variety of sizes and designs. We work hard to offer our clients the best banners according to client’s needs and requirements.